Shipping And Handling Carriage charges are calculated by weight and size, and depends on to where and by what method is chosen. These are calculated at the check out stage before you submit the order. Delivery Schedule We will normally despatch your order within 1 working day. Delivery time will depend on the delivery service you have selected. 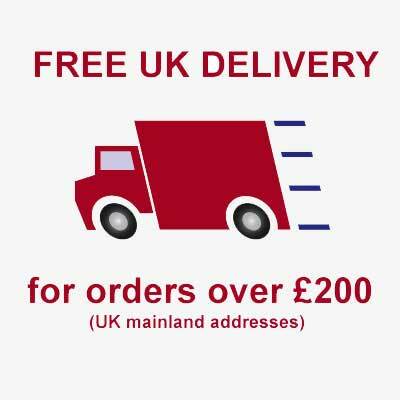 Tax Charges For orders shipping to the UK or the European Union, VAT is included in the price. All other orders are VAT free and the tax will be deducted at check out.